Seafood doesn’t get any fresher when you see fishing boats coming in off the Atlantic. Feast your way through one of America’s oldest seafood cultures across our region with the harvests from Eastern Shore land and seaside waterways. The culinary bounty of our area, makes its way to our waterfront restaurant tables for your dining enjoyment. Award winning waterfront dining, specializing in fresh local seafood, certified Angus beef burgers and prime rib. 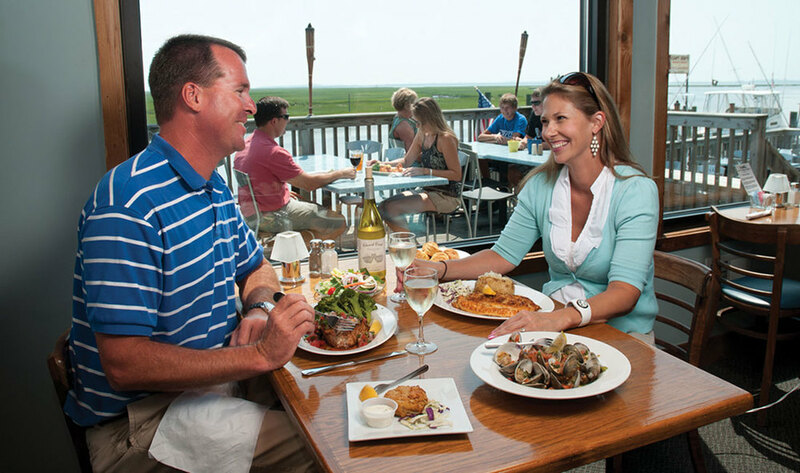 Dine while looking out on Wachapreague’s working waterfront and the Virginia barrier islands, as our local fishermen return with their day’s catch. Recreational boating and birding activity provide constant visual stimulation that changes with the seasons. Fresh coffee, homemade and cooked to order breakfast and lunch sandwiches. Joe is a crowd pleaser at packing boating and hunting box lunches to-go; cold beverages and beer sales available and a small selection of grocery essentials. We offer breakfast and lunch sandwiches as well as snacks for anyone and everyone walking our waterfront. 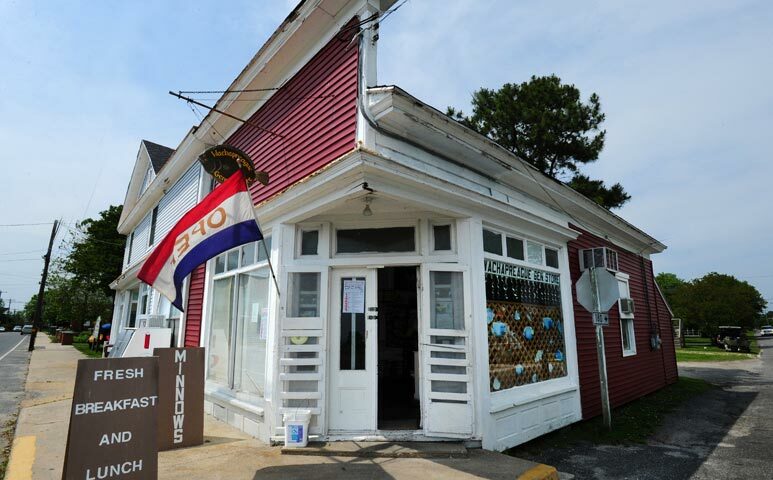 Country store has small assortment of daily needs. Trident Tackle has both in-shore and off-shore frozen and live bait available.